I guess you and I and oh yes, Apple, can call the first round of iPad sales a success. With over 500,000 sold in the first week, and now over 3.5 million apps downloaded, the numbers speak for themselves. We tend to forget that these numbers only reflect on half of Apple’s iPad revolution. The 3G model has yet to be released. There are a lot of customers how have pre-ordered the 3G and are still waiting for that to be shipped, Apparently an email that Apple sent out today states that customers who already pre-ordered the iPad 3G weeks ago will be getting it hopefully still get it in “late April”. I’m assuming with just this week and next week left in the month of April, Apple will be shipping the first round of iPad 3G’s at the end of this week (Saturday I’ve heard). Thank you for your recent order of the magical and revolutionary iPad 3G. We would like to confirm that your order will be shipped in late April as communicated at the time you placed your order. You will receive a confirmation notice when your order has shipped. You can get up-to-date information about your order, including shipping status and tracking number, at Apple Order Status. Now if you read this and decide to go and pre-order a iPad 3G now or have done in the past few days, it looks as if the first round of 3G’s are sold out. Apple has updated their iPad order page to now say “Ships: by May 7th“. The same thing happened to customers that pre-ordered the wifi model a bit late, they ended up receiving it about a week after the initial April 3rd launch. We can now see why the international launch was just pushed back. 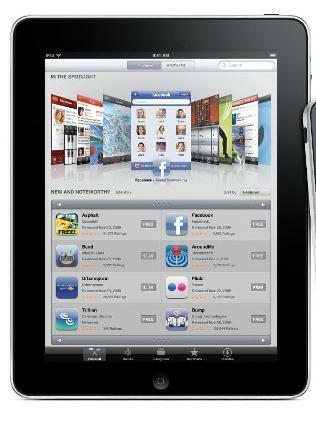 Apple is really selling the iPad fast and some think that the 3G model will do real well. May 7th is three days before Apple will start taking international pre-orders and when the international pricing will be set. Rumor: Apple to Offer Pre Orders On iPad as Early as Next Week? Just got email from Apple confirming a late April delivery. God, I’m tired of the blogosphere canonizing rumors. One guys fantasy becomes gospel.